If you want a good gauge of how bad the US economy is and how close a dollar, stock and total economic collapse is, watch the wealthy, the millionaires and the billionaires. In doing so, it is being reported that they are dumping shares in major American corporations. In other words, they are getting out before the US economy takes them down with it. Billionaires Warren Buffet, John Paulson and George Soros are just a few that have dumped tens of millions of shares in American companies such as Johnson & Johnson, Procter & Gamble, Kraft Foods, JPMorgan Chase, Citigroup, and Goldman Sachs. After all, the stock market is still in the midst of its historic rally. Real estate prices have finally leveled off, and for the first time in five years are actually rising in many locations. And the unemployment rate seems to have stabilized. 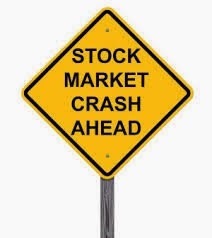 The illusion that has been created by bailouts and bait and switch games the Obama administration has been playing for the last fives years, is about to collapse and when the stock market crashes the whole US economy will go down with the it. More at NewsMax and in the video below.